Kerry and Indyk failed to understand that no Palestinian leader has a mandate to make concessions to Israel as part of a peace agreement. Concessions would be tantamount to signing his own death warrant. 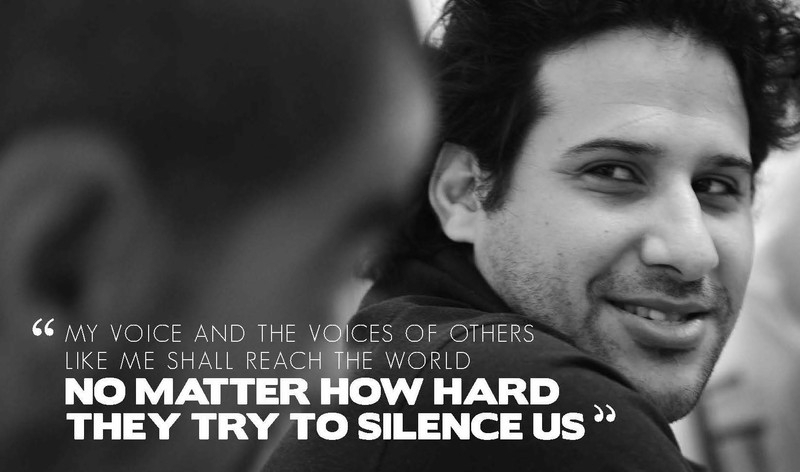 Abbas is being denounced as a "traitor" for merely opposing the abduction of three Israeli teenagers. The release of 78 prisoners, some with "blood on their hands," is seen as a major achievement for Abbas, who was never even asked to pay anything in return. U.S. envoy to the Middle East Martin Indyk announced on June 28 that he was quitting his job "battered and unbowed." But Indyk forgot to mention that he is also leaving his job after Palestinian Authority [PA] President Mahmoud Abbas succeeded in tricking him and U.S. Secretary of State John Kerry. Abbas has, in fact, emerged as the biggest winner from the nine-month peace talks, which ended in failure in late April. Abbas proved that it is easy to fool the Americans into thinking that he would be able to sign a peace agreement with Israel that included concessions unacceptable to most Palestinians. Abbas managed to persuade the Americans that the release of Palestinian prisoners imprisoned by Israel before the Oslo Accords would enhance his standing among Palestinians and boost his chances of signing a peace agreement with Israel. Kerry and Indyk were quick to buy Abbas's argument, and they exerted heavy pressure on the Israeli government to comply. The Israeli government reluctantly approved the release of some 104 prisoners, including many with "blood on their hands." During the nine months of the peace talks, Israel released 78 Palestinian prisoners in three stages, in the hope that this would boost the peace process with the Palestinians and enhance Abbas's credibility among his people. The release of the prisoners is indeed seen as a major achievement for Abbas, who was never even asked to pay anything in return. When some of Abbas's advisors were asked why they were continuing with the U.S.-sponsored negotiations even though they knew Israel was not going to give them everything they were asking for, they pointed out that the effort was worthwhile even if it only led to the release of veteran prisoners. In the end, the release of the prisoners brought about neither a peace agreement with Israel nor bolstered Abbas's standing among Palestinians. Moreover, the release of the prisoners does not seem to have increased the number of Palestinians who support the peace process with Israel. A public opinion poll published last week shows that a majority of Palestinians now oppose a two-state solution and reject permanent acceptance of Israel's existence. As for Abbas's standing among his people, it has become clear over the past few weeks that the PA president is being denounced as a "traitor" for merely opposing the abduction of three Israeli teenagers. Obviously, Palestinians have forgotten that Abbas managed to secure the release of prisoners incarcerated by Israel more than 20 years ago. Apparently, Kerry and Indyk were convinced up to the last moment that Abbas would be able or willing to make concessions that were tantamount to signing his own death warrant. Abbas was clever to pursue the negotiations until the end of the nine-month deadline set by Kerry in the hope that he would get the fourth and final batch of the 104 pre-Oslo prisoners. Abbas, at the same time, wanted to give Kerry and Indyk a last-minute chance to force Israel to accept all his demands, namely a full withdrawal to the pre-1967 lines and the establishment of an independent and sovereign Palestinian state with Jerusalem as its capital. When Abbas realized that his scheme was not working, however, he embarked on a series of steps that caught the Obama Administration by surprise. First, Abbas signed applications for Palestinian membership in 15 international treaties and conventions. Second, he struck a unity deal with Hamas, which resulted in the establishment of a Palestinian "national consensus" government. He seems to have gotten away with these two surprise moves, which were seen as severe blow to U.S. efforts to move forward with the peace process. Abbas appears to be the only player who benefited from the botched U.S.-sponsored peace process. Not only did this peace process get 78 prisoners released, but it also paved the way for Abbas to embark on unilateral moves and wage a diplomatic war against Israel in the international arena. As if that were not enough, the peace process eventually drove Abbas into the open arms of Hamas: Abbas would rather join forces with Hamas than succumb to U.S. pressure to reach a "treacherous" agreement with Israel. Kerry and Indyk failed to understand that no Palestinian leader has a mandate to make real concessions to Israel as part of a peace agreement. Instead, they chose to endorse the false assumption that Abbas would be able to deliver a deal. By doing so, they actually forced Abbas to mislead them into thinking that if only Israel released more prisoners, he would be able to make concessions. The question now is whether Kerry and Indyk will be prepared to admit that they were duped by the Palestinian Authority president. Probably not. - Obama and Kerry were obsessed with making the impossible happen. - Abbas didn't want to play. 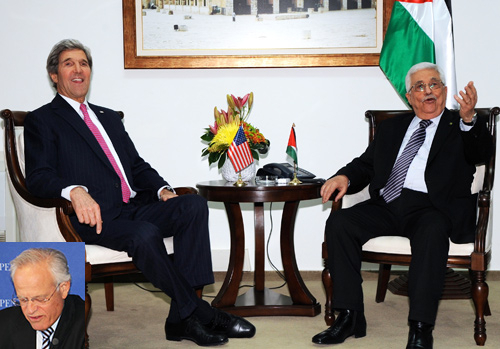 - Kerry looked for something sweet to offer Abbas, to make it worth his while. - Abbas demanded something he could take home and show off as a trophy to his people regardless of the inevitable failure of Kerry's fantasy farce, something he could not squeeze out of Israel by himself - a prisoner release. - Kerry then extorted this prisoner release from Israel, so Abbas would come and play. - Israel unwillingly succumbed to this American extortion so as not to emerge as the party-pooper and remain on America's good side. - When the inevitable happened and the farce exploded in Kerry's face, Israel got the blame regardless, but at least could not forever be blamed for not "giving peace a chance". Kerry was not duped he went into this knowing the facts and likely even supported the outcome and was following orders from Obama. It seems that it is pretty easy to fool American diplomats these days. Perhaps they need new leadership and stop living in fantasyland. I know nothing about Mr. Indyk other than he functions at the pleasure of Obama and Kerry. But it's crystal clear, based on everything Obama and his crony, Kerry, have done so far that they, and those who work for them, are ready, willing, and able to be 'duped' by every nasty little murdering tyrant world wide. Obama and Kerry seek to destroy freedom and individual rights wherever they find them, both here in America with their socialist and statist domestic policies and an ever expanding government, as well as around the world with a foreign policy which favors and embraces tyrannies over free countries. So the lies of tyrants are fully consistent with everything Obama and Kerry hold dear. Israel is the one country in the Middle East in which there is respect for freedom and individual rights. Every other Middle Eastern country is some form of tyranny, whether religious or secular. Obama and Kerry who will do everything they can to subvert and betray Israel. The Israelis must absorb, and act on, that hard fact in order to survive. Why anyone believes there is the remotest chance of peace between the Fakestinians and Israel while the Hamas Charter specifically states that Israel must be eradicated and all its inhabitants killed is not clear. It is time to end this charade and throw all our support behind the only socially liberal democracy in the Islamic hellhole of the Middle East. The longer we leave it, the messier and more costly it will become. I was not aware that it was so explicitly stated, but it does not surprise me at all. People create their own blind spots. Hitler told the world what he was going to do and while the world ignored what he had written, he did exactly as he had said he would. So it comes as no surprise that a lot of people can ignore, or consciously evade, the Hamas charter. Unfortunately, as long as there is a member of the Left wing in the White House, American foreign policy will continue to favor tyrants over free countries. Wow, one should be forgiven for saying : I told you so. Obama / Kerry & poor Indyk fell over themselves to please the Philistines falsely assuming they deal with straight players, but, alas & alac they ended up with egg on their faces. Abbas has shown his skillful deviousness by gaining advantages without a sweat and receiving a gift of some scrupulous murderers' release. Is there any outrage in the world against Abbas, no. But inevitably Israel gets the blame. I would be time for Israel to show the same disregard. Is Abbas a bungling fool or a clever negotiator? Is he more honest than Arafat or just hiding it better. Maybe Castro in a suit is a better description for him than any other. He is educated. He is articulate. But he can't bring peace so why do we spend U.S. money to keep him in office? Could it be that Kerry and Indyk were not so much duped as determined to achieve a result at any cost.....to Israel? Thus, e.g.they ambushed Israel by promising Abbas the release of prisoners who were Israeli citizens, (an act that reflected contempt for an ally state's sovereignty), without so much as consulting Israel. Then, when Abbas used the non-release as a pretext for terminating what were facetiously called "peace talks", the bitterly disappointed Kerry and Indyk vented their spleen against Israel. It is mystifying that the Americans do not demand any reciprocal concessions from the Palestinians. I find it illogical that Hamas which is recognized as a terror organization by the US is deemed a peace partner because it joined the PA. I find the Obama administration inept in middle east foreign policy. Obama has made things worse all around. The PA needs to change its education system and stop incitement against Israel and Jews. Mahmoud Abbas is not some kind of Machiavellian maestro. He is only able to act to the limits of the self delusion of Western governments. Kerry, Indyk and most political leaders in the world "wish" that the situation is such that the Palestinian movement is a legitimate movement concerned with bettering the Arabs of the levant, building a society, and is divorced from the original reason the PLO was formed by Arab nations in 1964, to destroy Israel. They have to delude themselves because they are living in a world where most people have drunk the Kool-aid. Faced with All of the Palestinian terrorist orgs over the years from PFLP, Islamic Jihad, Hamas etc they then see the one person who doesn't openly at least, express the crude tones of those groups and he is hailed as a moderate. Its kind of like being presented with Mao, Stalin, Hitler and Pol-Pot. After which time you are presented with Castro and then say to yourself "Oh he's actually quite nice compared to the others." Most people don't even know that the Palestinian government never ratified Oslo, Arafat tried twice in the 90's but they were having none of it. Bottom line the PLO has never officially renounced violence. Of course Kerry and Indyk were quick to buy any lie from Abbas and you can add Obama, first of all because this is an anti Israel plor imagined by Obama the anti American president. However the most responsible is Netanyahu who kept bowing to all pressures instead of rejecting them. Every one knows that the more a blackmail victim bows to his persecutor's demands the more he will be blackmailed. Netanyahu is NOT a PM for Israel. He could be one for France or Belgium or Spain but NOT FOR ISRAEL. The quickest he goes the better for Israel. No, Netanyahu does not inspire confidence nor pride amongst Jewish Israelis. He is a "snake", our "snake" to be sure, but a "snake" nonetheless. He wiggles and writhes, procrastinates and lies, deceives and pretends but he is not the leader we need in these hard times. I, personally, would support either Avigdor Lieberman or Naftali Bennett, either of whom could grow in stature while not expecting that we, Jews, continue to appease and be ashamed of ourselves, that we even exist. It is also a matter of Israeli identity. We are still a very young country. Perhaps my grandchildrens' generation will capture the socio-cultural and religious identity we are still lacking. For sure, Netanyahu will be viewed, in time to come, as one of a long list of failures. Of all the likely candidates for PM, Bibi is probably the best (there are better people around but, at least for now, no one with a real chance at becoming PM is better than Bibi); he has made and continues to make significant and costly errors. He has the most difficult job in the world. So, as Caroline Glick has said, the job of those who believe in Israel and want to defend her is to make Bibi stronger, encourage him to be stronger, to do the right thing and do it with intelligence. It is a big mistake to try to weaken Bibi. Mr Toameh again has shown great clarity, accuracy, and insight in his article. The world is lucky to have him as one of the few outstanding journalists on the scene today in any arena.